The Washington Post reported this week that the Virginia Military Institute (VMI) canceled a previously planned commencement address with the disgraced governor on top of the cancellation of a political fundraising appearance. Two and a half months after the publication of a still unexplained racist photo on Northam’s yearbook page, the governor remains in office and completely ineffective. 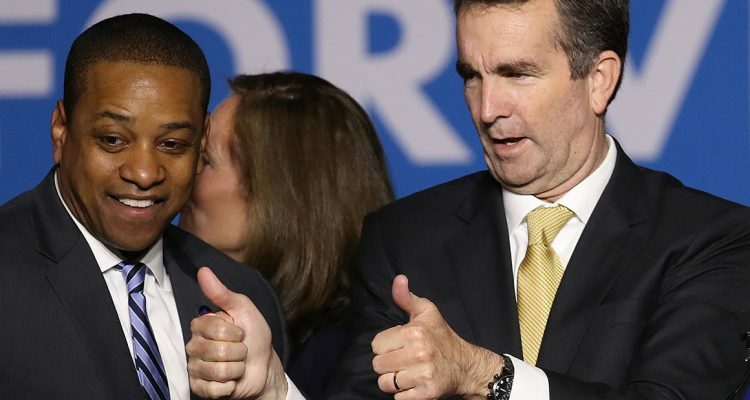 Last month, America Rising PAC trackers caught Democrat members of the General Assembly refusing to say whether or not they would campaign with Northam or Lieutenant Governor Justin Fairfax, who was credibly accused of sexual assault by two women. Delegates Hala Ayala, Dawn Adams, Chris Hurst, Cheryl Turpin, Jeremy McPike, Wendy Gooditis, Danica Roem and Lamont Bagby appeared to leave open the possibility to do so, but to this point have not campaigned with either of the disgraced officials. In an ominous sign for Virginia Democrats on the ballot this November, Northam’s scheduled appearance at a fundraiser for state Sen. David W. Marsden was canceled due to looming protests by groups such as the Fairfax Chapter of the NAACP and the Republican Party of Virginia. According to the Washington Free Beacon, Republicans in Virginia have made it clear that they will not allow Northam and Fairfax’s scandals to be swept under the rug.